Here, like you see, my network interface name is enp0s3 and the network configuration is automatically assigned by my DHCP server. 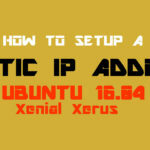 Let’s start setting up a static ip address to our server . 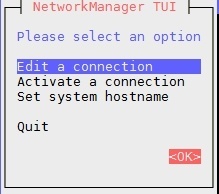 Here we will select IPv4 configuration from Automatic to Manual and click show to assign the static network configuration. Remember to check Automatically connect to start the network device on boot and click ok .
First, let’s display the network connections. 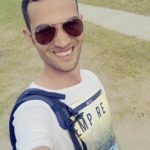 if you want to display list of all informations of the network connection use this command. BY default the configuration file will look like the block below. 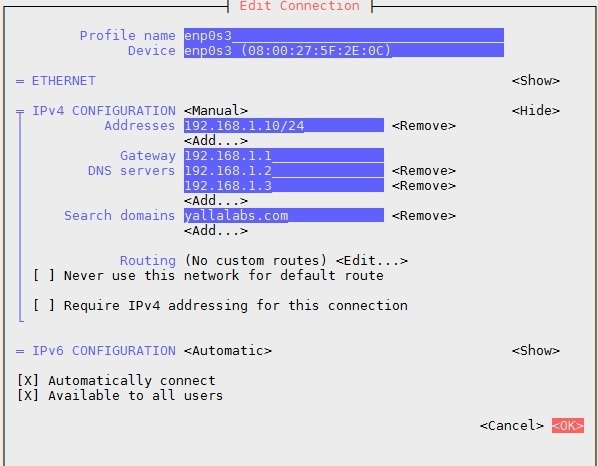 To change the above setup to a static IP address configuration, replace BOOTPROTO value from dhcp to static or none as shown below. 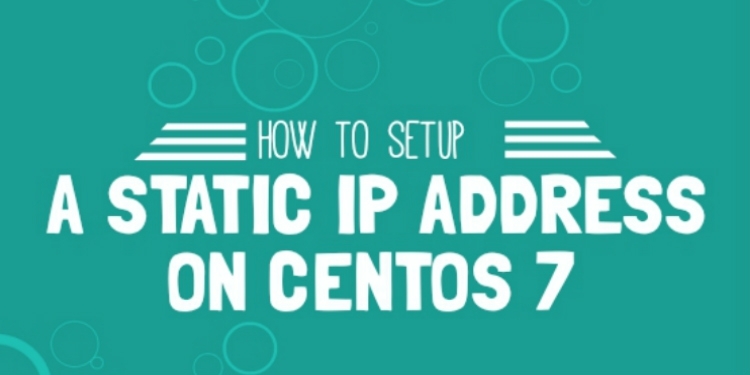 Then add the IP address, network mask, gateway, domain search and Dns for the server at the end and save the file. 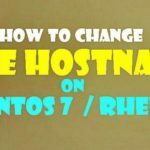 Finally, restart the network service to insecure change takes effect. That’s it for now. Enjoy..